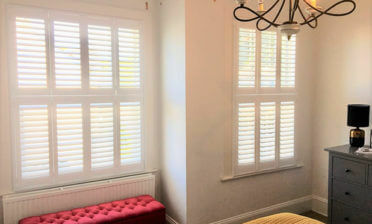 Ben was in Orpington in our local area of Bromley to install these solid panel shutters for our client Mrs Brown. Although many of our customers request shutters with louvres, our solid panel shutters are a fantastic option for the right window and situation, in this case a square bay window. 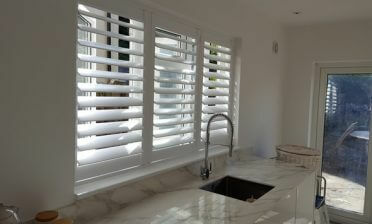 The customer opted to have the shutters created in a tier on tier style which allows the panels at the top and bottom to be opened independently. 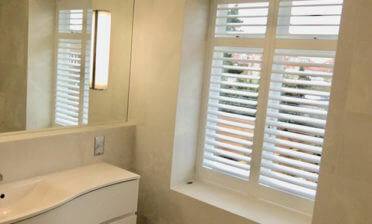 We would highly recommend this style on solid panel shutters of this height, as without louvres you would be very limited on lighting and privacy adjustment. With this setup the homeowner is able to keep the bottom section closed with the tops flung open for example. 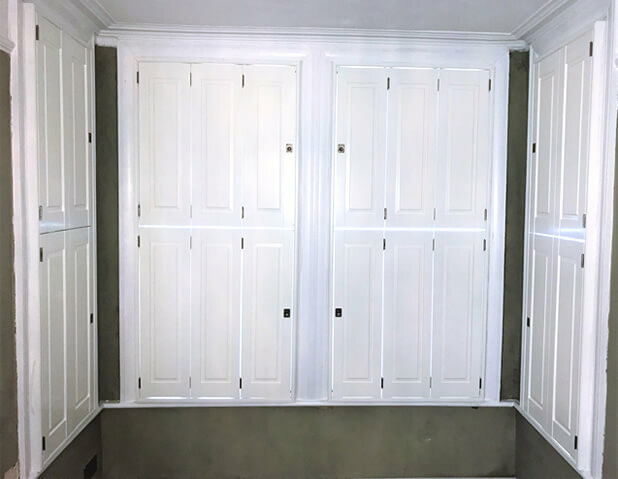 We created the shutters from our Sumatra range of hardwood (White teak) and finished the shutters in silk white, completed with some lovely brushed nickel plated hinges and some ring pulls for easier opening and closing of the panels. Mrs Brown was delighted with the end result!